140.6 Training Program is for the endurance triathlete: geared towards the first time Ironman athlete as well as the PR hopeful! This 20 week training plan focuses on taking you the distance in preparing for a 140.6 full-distance Ironman triathlon (2.4 mi swim, 112mi bike (116 for Chattanooga), 26.2 mi run). It will be a complete training plan developed by a Certified ITCA or USAT Coach including two-four monthly group training sessions! Group Sessions: Two-four monthly sessions on Saturday and/or Sunday mornings. Some Monday evening optional sessions too. 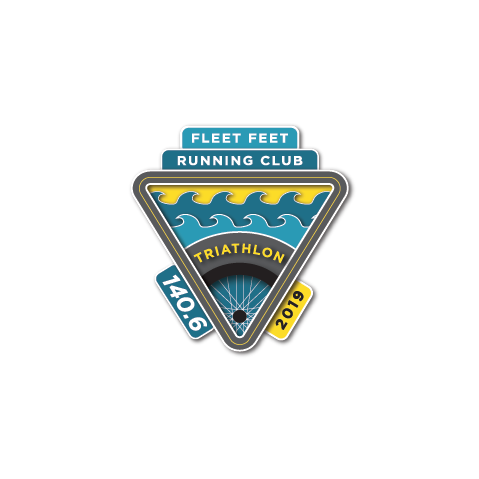 A graduate of 2018's Tri 70.3 program or have completed a half-Ironman distance triathlon in 8 hours or less. You must be able to currently run 6 miles, swim freestyle stroke for 1500 yards continuously and bike 25 miles (15mph minimum). You must be at least 18 years of age and understand traffic laws. Also, you must be a US citizen, due to training sessions that access Redstone Arsenal. It is imperative that you meet these minimum requirements! Becoming a 140.6 triathlete at the end! Bike: A well-fitting road bike or triathlon bike is recommended for this distance race. Bike gear: Helmet that is free of defects and cracks is required. Reflective vest. Blinking light. Other bike accessories such as pump and flat tire kit. Blevins Bicycle Company began as a humble backyard shop built from the ground up from the perspective of a bicycle mechanic. From a 700 square foot shed to a massive 8000 square foot storefront in South Huntsville. Blevins Bicycle Company has always had the fundamental belief that a working bicycle is the most important aspect of cycling. My passion for riding started over a decade ago working at various bicycle shops around North Alabama. Like any good bike shop mechanic I took my work home with me. It didn't feel like work at the time. I mean, it's my passion and I wanted folks to ride well maintained bicycles.